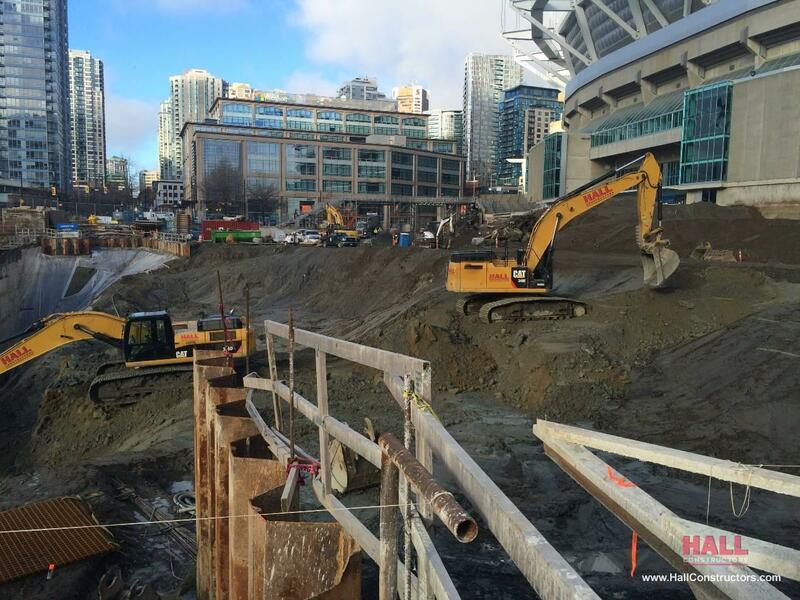 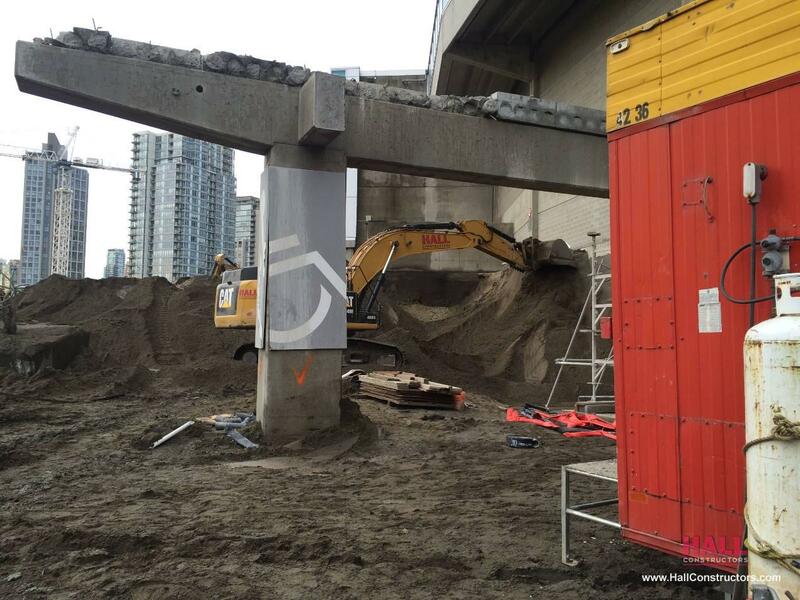 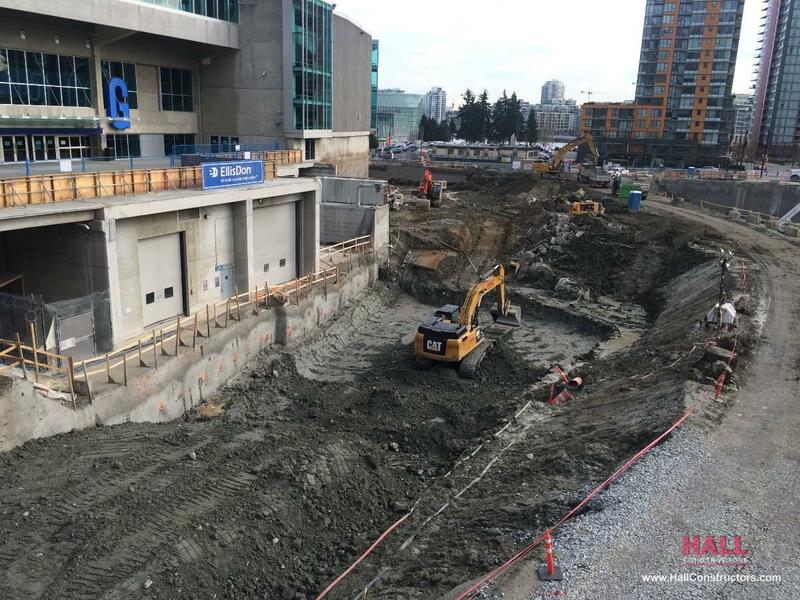 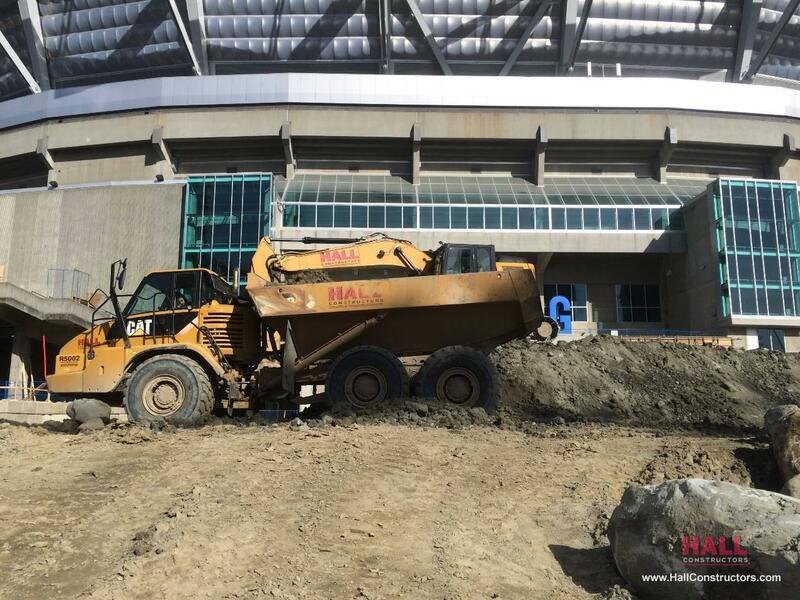 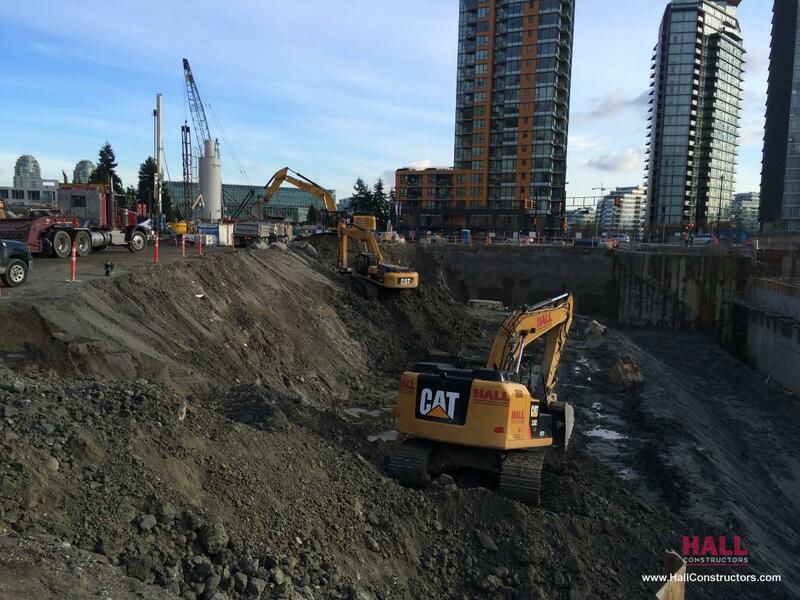 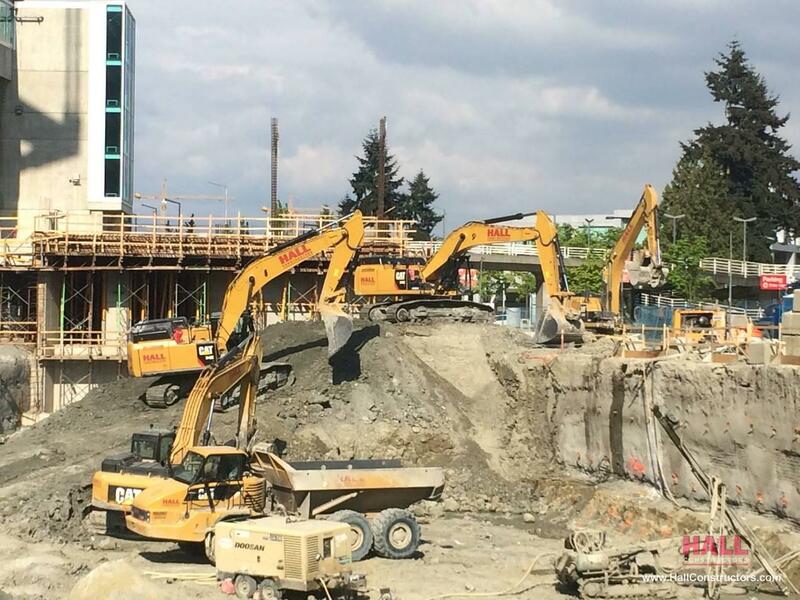 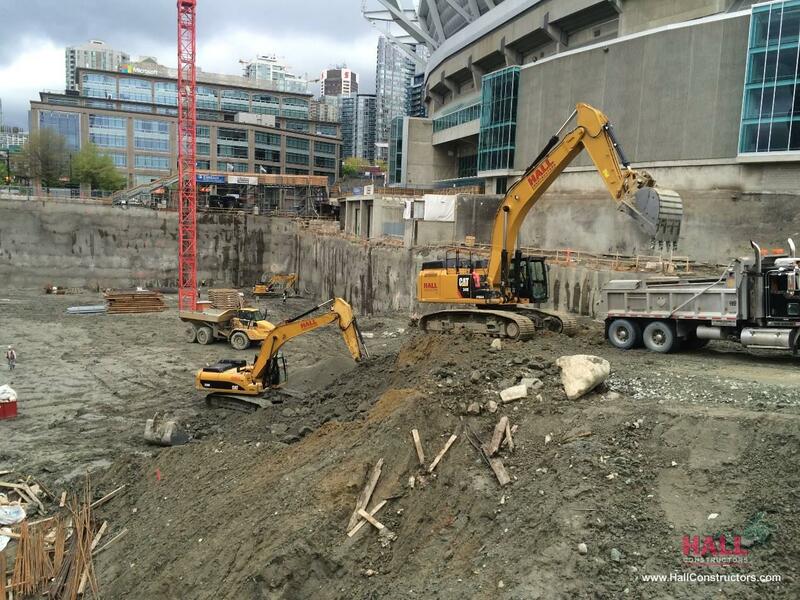 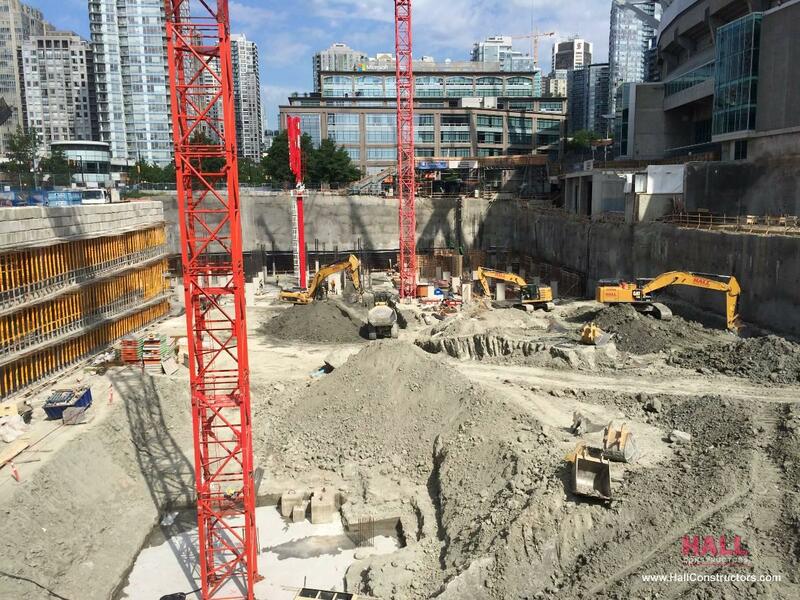 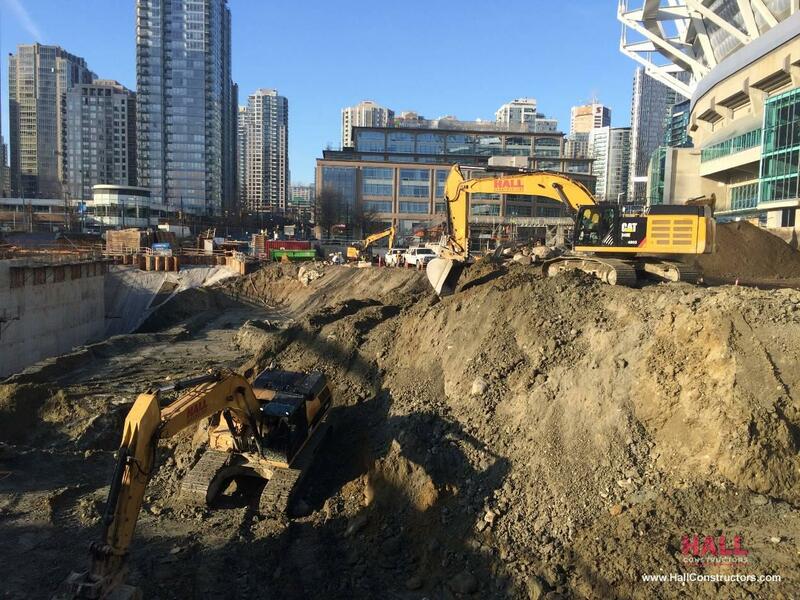 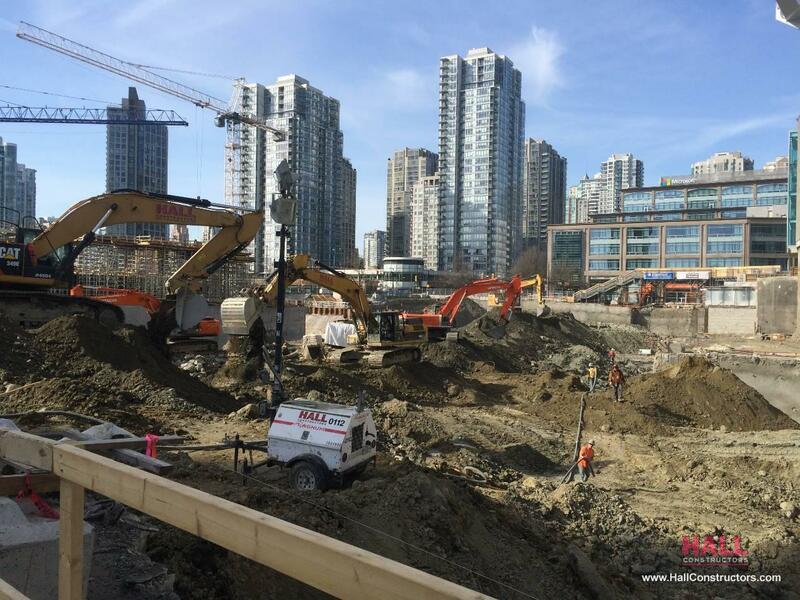 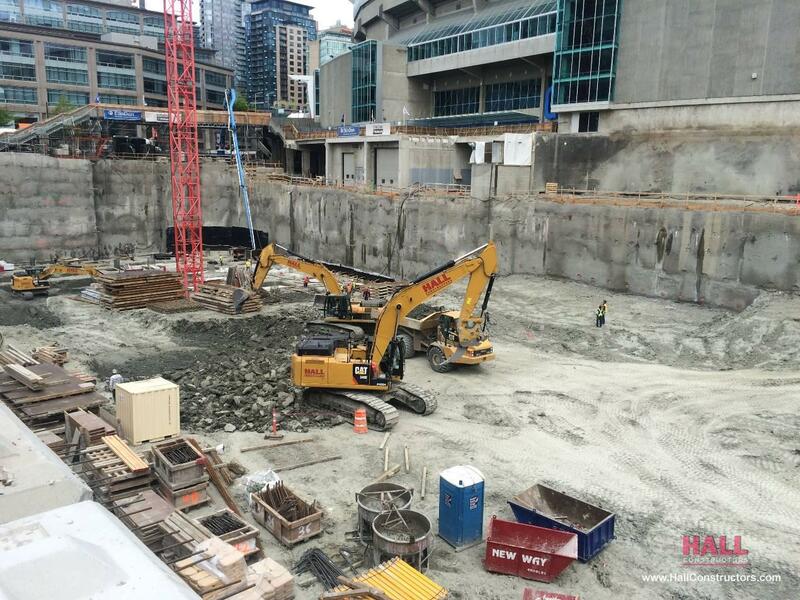 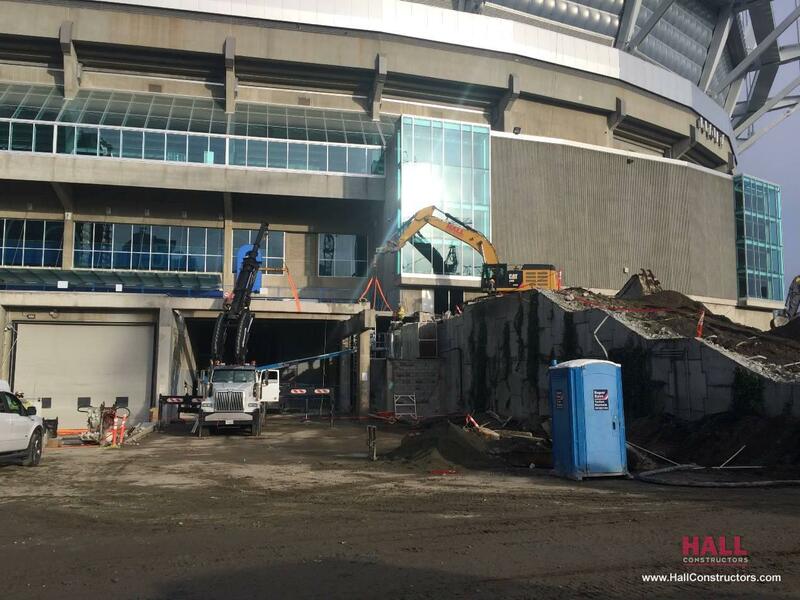 Project consisted of select demolition of BC Place, Jet Grout Piles, Driven Pile Piles, Bulk / Detailed / Mechanical Excavation complete with Shotcrete and Anchor Shoring system. 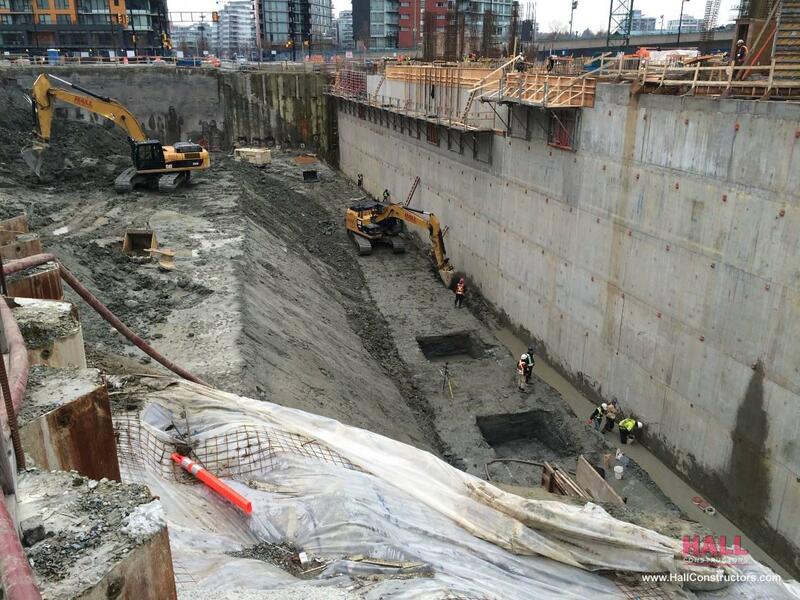 Total volume of material removed was 160,000 m3 of which approximately 45,000 m3 was contaminated. 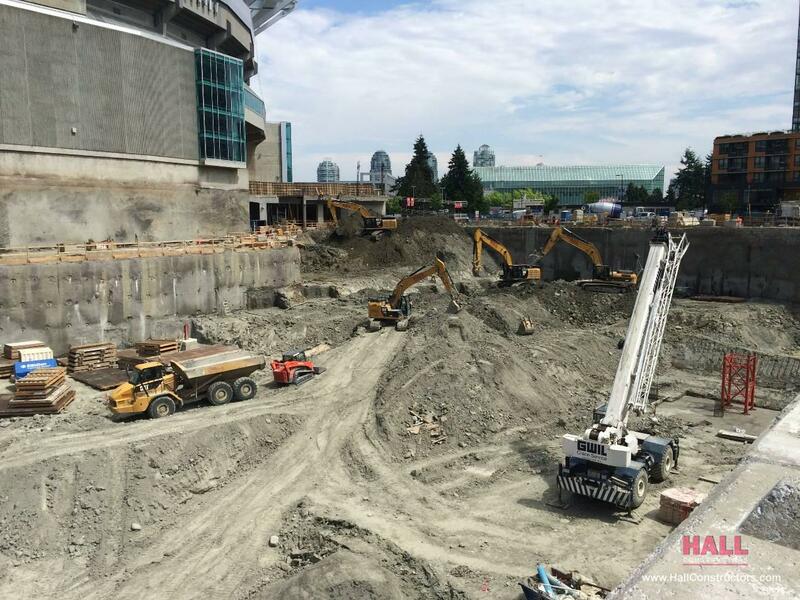 Schedule was a major factor on this project and Hall Constructors was able to deliver the excavation 2 months ahead of schedule.